Europe could have saved itself $100 billion (€86bn) by installing solar power panels in sunnier countries and wind turbines in windier places, the World Economic Forum’s “Future of Electricity” platform said in a report released on Tuesday (20 January). The report, written with consultancy Bain, added that another $40 bilion (€34.5bn) could have been saved by better cross-border coordination and bigger power cables between countries. It said that even though Spain gets about 65% more solar energy than Germany (1750 kilowatt-hours per square metre/year compared to 1050 kWh/m2 for Germany), Germany has installed about 600% more solar photovoltaic capacity (33 gigawatts compared to 5 GW). But while Spain has less wind than northern European countries, it has still installed 23 GW of wind power capacity. “Such sub-optimal deployment of resources is estimated to have cost the EU approximately $100 billion more than if each country in the EU had invested in the most efficient capacity given its renewable resources,” the WEF report said. It also said that overinvestment in renewables has created huge overcapacity in Europe, weighing on utilities’ profits. Over the past five years 130 GW of renewable generating capacity and 78 GW of conventional capacity have been added to the system in the EU, while only 44 GW of conventional capacity has been retired, the WEF report said. At the same time, growth in demand for electricity in Europe has flattened to 0% in 2007-2012, compared with an annual growth rate of 2.7% since the 1970s. As a result, return on invested capital has dropped 4.8 percentage points to around 6%. While the United States has seen a similar slackening of demand, retirement of old plants has more closely matched the advent of renewables, and American utilities have preserved their profit margins. "Capacity mechanism" describes a system in which power generation capacities are rewarded through financial compensation. Former EU Energy Commissioner Günther Oettinger has said he is critical of capacity mechanisms. "If the German government wants to take this path, then it must be a cross-border model. Otherwise it will become an undesirable cost driver," he warned. Although capacity mechanisms are already on the daily agenda in many EU member states, Germany is still in the discovery phase. This report falls into the “if ifs & ands were pots & pans there’d be no need for tinkers” category. 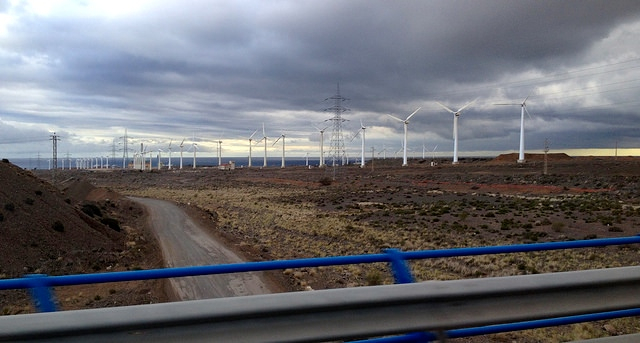 Cross border connections: France – Spain talking about if for years EdF resistance makes it a no-go. Spain low wind – yes in some places, not so in others. German action drove PV prices down. Bain predicates that the EU should NOT have made the investments in RES because it affected corporate profits ergo – corporate profits come before climate change action – really? REALLY?? Who paid Bain for the report? – why is space given (= free advertising) to the views of neo-cons & similar scum? I liked this bit: “The report supported industry calls for … capacity markets” – i.e. paying the usual suspects for doing nothing – the UK has implemented CMs & in 2018, UK households will pay £15/houshold to likes of EdF, RWE, EON for doing… exactly…… nothing. ……….Bain – giving prostitution a bad name.